LOS ANGELES (AP) — A gunman in Southern California fatally shot his ex-wife and a man at a trucking company before chasing after another man, killing him, and then driving to a home where he killed a father and daughter during a nearly 40-minute rampage, authorities said Thursday. 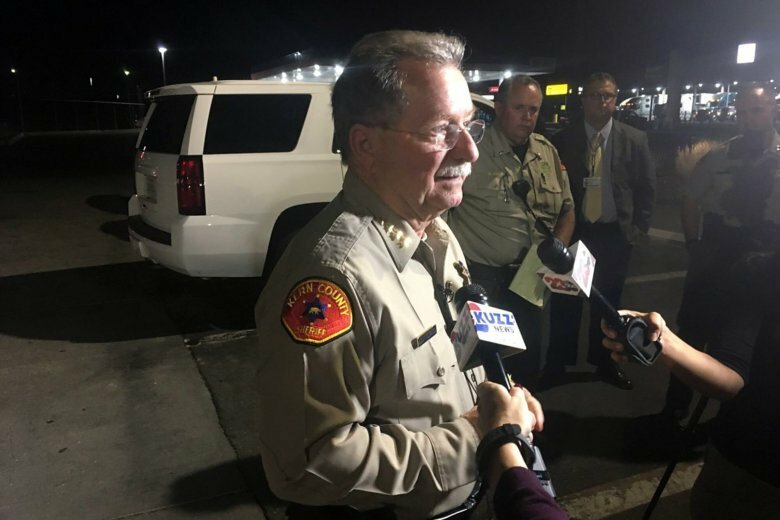 Kern County Sheriff Donny Youngblood identified the gunman as Javier Casarez during a news conference about the shootings that claimed five victims in Bakersfield, about 90 miles (145 kilometers) north of Los Angeles. Casarez, 54, fatally shot himself as a deputy closed in on him shortly after the shooting. Court records show a divorce between Casarez and his wife Petra Maribel Bolanos de Casarez was finalized in April. Officials say there are indications of a domestic violence motive, but investigators don’t know what specifically set Casarez off. Casarez filed for divorce last year because he believed she had cheated on him, according to court papers. In his petition for divorce filed in December, he accused Petra Maribel Bolanos De Casarez of cheating and asked the judge for his wife’s text messages to specific phone numbers. The judge denied the request. Investigators are looking into whether Casarez’s ex-wife may have had a relationship with Contreras or Valadez, the sheriff said.